What are the required skills and technology for taking an online class? Are eLearning classes self-paced? 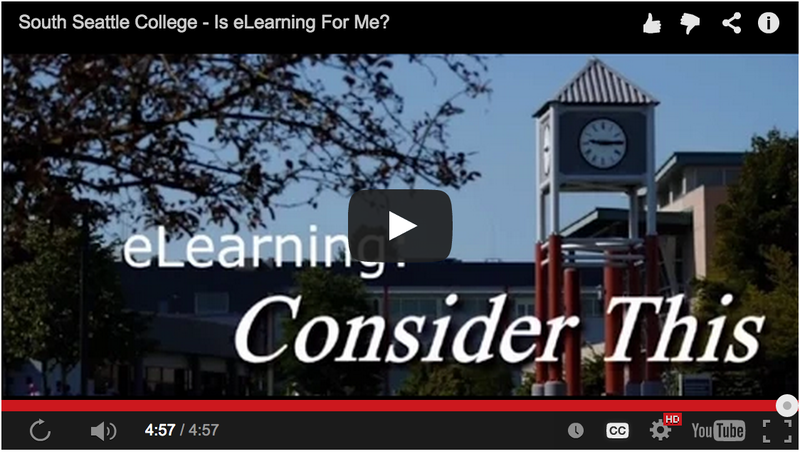 What IS an eLearning class? How do I become a student at South Seattle College? What if I attend another college and just want to transfer SSC online course credits back to it? I just registered for an online class - will I be contacted? What do I do next? How/where do I get my books and course materials? SouthSouth.edu eMail - How do I log in? I need online tutoring for my classes! Is there anyway I can get training for Microsoft office applications? Where do I go to get a Test Proctored? How do I make sure my Campus records are correct and up-to-date? I can't find an answer on this fabulous web site! It is recommended you start with our Steps to Enroll or "I'm Registered, Now What?" pages, but if you are having difficulty finding the information you need, please fill out a help request (include your SID if you are a student), send us an email eLearning@southseattle.edu, or give us a call (206) 934-7930. We are here to help you Monday - Thursday, 9am -12pm.